Right from the beginning, every version of Ubuntu released has had a name which is made up of two words starting with the same alphabet - the first word an adjective and the second the name of an animal. From Ubuntu 5.10 "Breezy Badger", the names also follow an alphabetical order. Ubuntu 11.04, which is currently being developed, is codenamed Natty Narhwal. So, the next one after that - Ubuntu 11.10 - is to be codenamed with something starting with "O". There were many suggestions for the name - we even thought that it might be called the "Oscillating Ocelot". Today, Mark Shuttleworth announced the codename for Ubuntu 11.10. While it is not "Oscillating Ocelot" as we thought it might be, it is certainly close enough. Shuttleworth announced that Ubuntu 11.10 will be codenamed "Oneiric Ocelot". What we want is something imaginative, something dreamy. Something sleek and neat, too. Something that has all the precision of T S Elliot’s poetry, matched with the “effable ineffability” of our shared values, friendship and expertise. Something that captures both the competence of ubuntu-devel with the imagination of ayatana. 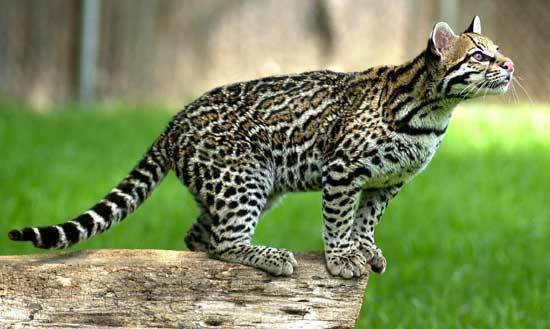 Do you think Oneiric Ocelot is a good name? Let us know in the comments.